Meet Ms. McCrafty aka Crafty aka Rachel Sadd! She talks to us about Ace Monster Toys makerspace, a non profit space dedicated towards education, hacking, and maker culture. We burners love to make things. Rachel shares her techniques on how to build community space within a makerspace and more recently with her work at Maker Faire, Bay Area, 2018 as their Week of Learning programming lead. Most of her great ideas can be transferable to burner communities. If you have a build crew or want to put on workshops for your area, listen and learn. She’s great! Links associated to this podcast www.acemonstertoys.org http://wwwthecraftyavenger.com Photograph by Rachel Sadd Intro music by &nbsp;DINK! Found on Alkaline Podcast, episode number A037. Find it at www.burnerpodcast.com. Find more Into The Fire podcasts at www.intothefirebm.com. 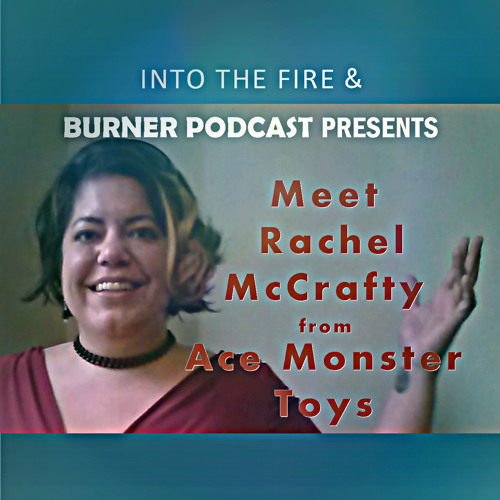 Download Into The Fire: Meet Miss McCrafty! Users who like Into The Fire: Meet Miss McCrafty! Users who reposted Into The Fire: Meet Miss McCrafty! Playlists containing Into The Fire: Meet Miss McCrafty! More tracks like Into The Fire: Meet Miss McCrafty!